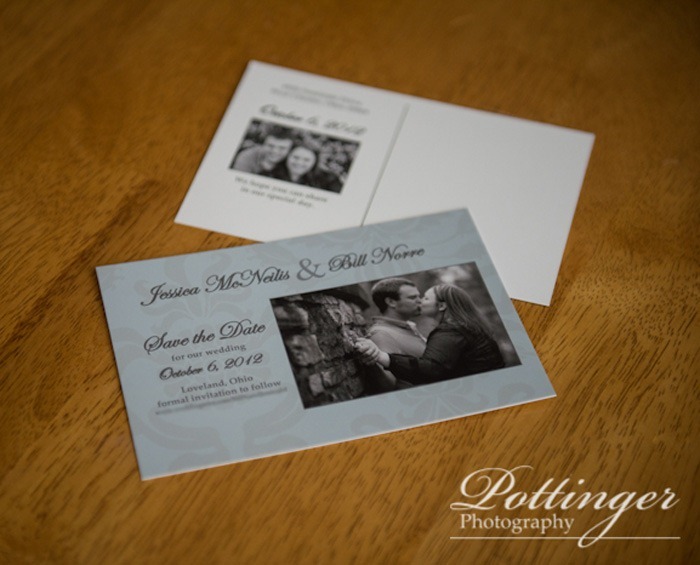 Posted on Friday, May 18th, 2012, by Brenda Pottinger under Misc..
One of the custom pieces that we help our couples create is a beautiful Save the Date! We like to incorporate their favorite images from their engagement session and the colors for the wedding. Jessica and Bill have a light blue color and silver. I love that they are getting married in Loveland because it has the word love in it. They also included a wedding website for their guests to find more information. I just know their friends and family will love receiving these in the mail!